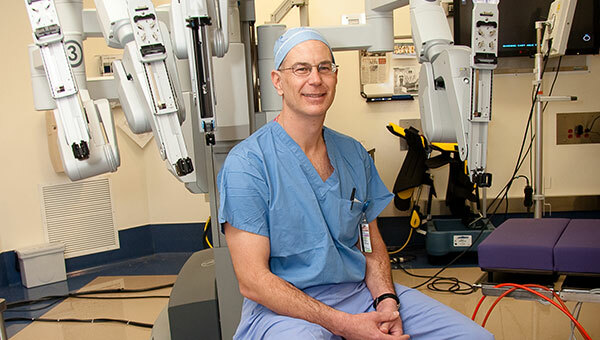 Dennis LaRock, MD, is the Co-Chief of Urology and the Chief of Robotic Surgery for Southcoast Health. Here, Dr. LaRock discusses the expert team of specialists at Southcoast Physicians Group Urology and the compassionate care and a wide array of treatment options they offer for urological patients young and old. Health+: Tell us about your group and the urological services it provides. Dr. LaRock: Our staff specializes in all diseases and conditions having to do with bladder function for men and women, as well as pediatric patients. We have five physicians and three physician assistants working out of two main offices, in Fall River and Fairhaven. We treat patients at the three Southcoast hospital campuses — at St. Luke’s in New Bedford, at Charlton Memorial in Fall River and at Tobey in Wareham. Health+: What types of issues do people come to you with? Dr. LaRock: There are a number of ways to treat intrinsic bladder disease, which are the problems that most people have heard of — incontinence or overactive bladder or urinary retention — but the causes can be varied. For example, incontinence may be the result of an inflammatory issue or a neurological issue. When the incontinence can’t be overcome with physical therapy and oral medications, one option is to use Botox®, which is injected into muscles surrounding the urethra, to reduce that feeling of urgency. Another treatment option is bladder neuromodulation. This involves the implantation of a neural stimulator, a device akin to a pacemaker that helps to regulate bladder contraction. The neural stimulator can be set to dial it back, or, in cases of urinary retention when there is difficulty emptying the bladder, the stimulator can help open the sphincter. 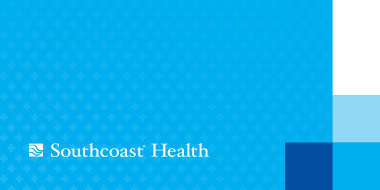 Health+: What other urological issues does Southcoast help treat? Dr. LaRock: Besides bladder disorders, our practice helps people with kidney problems, prostate problems and other genitourinary problems. Kidney stones are the most common cause of blockage and infection. If the patient is in great pain, or we determine that the stone is too large to pass naturally, we can use surgery or lithotripsy to remove any stones. We are usually very successful in removing this kind of blockage. Blockages can also be caused by benign or cancerous tumors. We treat these with open surgery or ablation — a minimally invasive procedure in which high-energy radio waves are directed through a thin probe at the tumor and essentially burn the mass away. These kinds of surgeries can also be used to repair congenital blockages. Patients may come in and we discover that there is a structural anomaly in the kidney or ureter. The structural problems may not have caused any symptoms for years, so we see patients with this type of problem at any age, child or adult. Health+: What about prostate problems? Dr. LaRock: As men age, there is a good chance that they will experience symptoms related to an enlarged prostate. In fact, some estimates are that 90 percent of men who reach age 80 or beyond will experience this condition, known as benign prostatic hyperplasia, or BPH. The enlargement is not caused by cancer, and there is no direct link between BPH and prostate cancer. Treatment will depend on the severity of the symptoms, which can include incontinence, a sudden urge to urinate, or the need to urinate two or three times per night—or inability to urinate or a delayed start of urination. If following a self-care regimen does not improve the condition, we can prescribe medications or a course of surgery. Health+: You mentioned that you have pediatric patients. What sorts of problems do you treat for them? Dr. LaRock: Some common issues for children are maldescended testes, enuresis [nighttime bed-wetting] or hydronephrosis [a blockage that affects the kidney]. Some of our physicians have been trained through Boston Children’s Hospital, so they are very skilled in treating these ailments in children. Health+: How does the ability to use robotic surgery help patients with urological problems? Dr. LaRock: I actually started in robotic surgery in 2008 so I have completed quite a lot of robotic surgeries. And the range of procedures and depth of experience that I and the other surgeons have is quite extensive. We’re fortunate to have so many physicians with these specialized skills at Southcoast; we can handle the vast majority of the urological problems we encounter. Many maladies are now amenable to a minimally invasive procedure, which results in less blood loss and pain than with traditional open surgery and a smoother, faster recovery for patients. In cases where there is a cancer diagnosis, we collaborate closely with the oncology staff at the Southcoast Centers for Cancer Care, which adheres to the highest standards of care, and robotic surgery is part of that, as well. For instance, access to structures during prostate cancer surgery is greatly improved. The robotic system allows me to get instruments and a camera deep into pelvis; it’s like having your hand inside — without having your hand inside. For kidney cancer surgery, we are able in appropriate cases to perform a partial removal of the affected portion of the kidney rather than taking out the entire organ. Of course, this is much better for the patient not to have to rely on only one kidney. The robot allows us to reconstruct the remaining structures in a way that was not generally feasible before, and we can minimize renal insufficiency or kidney failure. To schedule an appointment with Dr. LaRock or another member of Southcoast Physicians Group Urology, call 844-744-5544, use Find a Doctor or download our Find A Doc app.